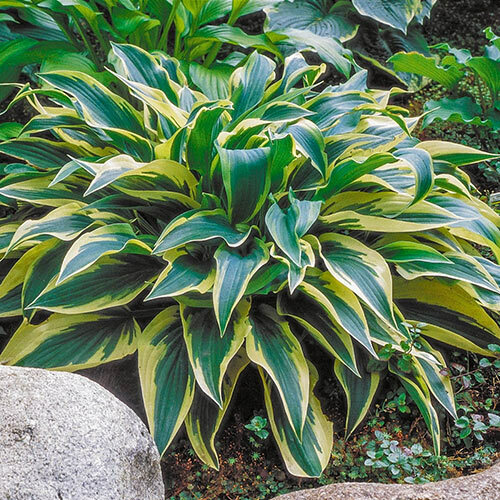 Wolverine Hosta | Shop for Shade | Michigan Bulb Co. This is a beautiful cultivar, its blue-green leaves shining with gold margins. It grows quickly and it becomes wider than it is tall, at a 14-18" height and 30-40" spread. This means it's good for filling out borders and covering bare patches in your shade garden. It is as gorgeous in a container as it is when naturalized over a woodland garden. Late summer lavender blooms appear across arching scapes, attracting beneficial pollinators to your landscape. 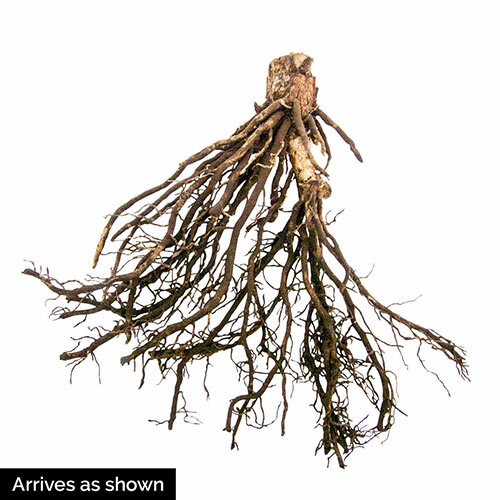 Although best in well-drained soil, it tolerates a wide range of soils.